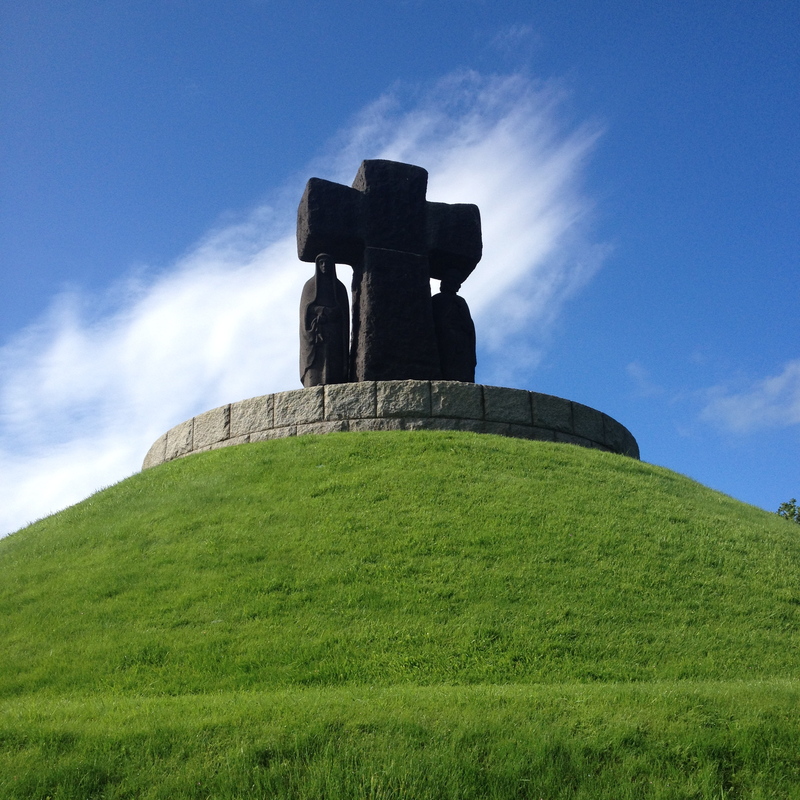 June 10, 2014 – Today we visited La Cambe German Cemetery. Members of the SS are buried here. Entering the cemetery is actually like entering a tomb. It is sad, somber and the sacrifice of these German soldiers is not glorified. They too are invaders, buried on foreign soil. That being said, I believe that visiting these places is important to reinforce in my own mind that these young men were humans too, following orders that we would now deem to be awful and supporting an evil regime. There is much focus in the exhibition to stress the new unity between France and Germany (see European Union) instead of their bloody past and the fact that since 1870, the Germans have invaded France three times, and succeeded each time.